Small/Mini Food Processor I can’t seem to cook without this handy processor. It is so much easier to bring out than my bigger one also less room to store. There are not many things I can’t use it for. You will love it and it will make small/quick work of your chopping needs. I use it to chop chicken for chicken salad, nuts (pecan crusted chicken), chocolate, herbs (coconut lime chicken soup) and pretty much anything that will fit into it that needs chopping. Probably my most go to Kitchen Gadget. Lemon and Lime Squeezer This is one of my favorite gadgets. 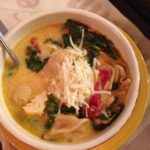 (coconut lime chicken soup) I love it because you never end up with seeds in your dish that you have to get out. Also, I know some people like squeezing lemons and limes with their hands but if you have the tiniest, little cut you will soon know it. 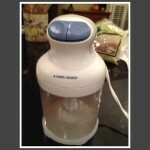 With this squeezer you never get any juice on your hands. Measuring Cup for Sticky and hard to measure food. Measuring mayo, honey, peanut butter, sour cream and other food that is hard to scrape out of measuring cups, this is the kitchen gadget to use. Once you have filled to the measurement you need, you just turn it over and PLOP it out. So easy and it is dishwasher safe. 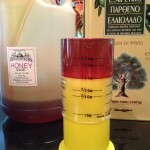 Best way to measure honey, mayo and other foods hard to remove from measuring cup. Kitchen Shears/Scissors I hope you have a pair of kitchen shears. They are so handy for just opening bags, but also for chopping things. I like using them for chopping herbs. 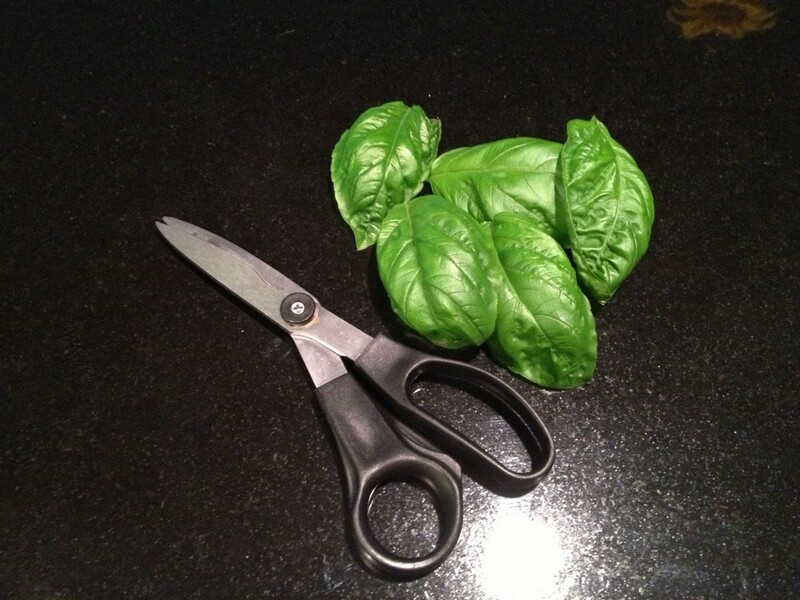 I roll up basil leaves and the use the kitchen shears to chop them. They are great for chopping chicken, removing the tendons from Tenderloin, they even cut through the bones, sausage and other food items. Scoop This scoop is so versatile . I use it for filling tortilla shells, making cookies or anything I need to be uniform in measurement. I have two sizes, small and large. The small one is perfect for mini muffins.